Good Luck in Kansas City, Dr. Blood-White! HomeCompany NewsGood Luck in Kansas City, Dr. Blood-White! Today we say goodbye to one our favorite doctors here at City of Vision Eye Care as she departs for her next adventure. 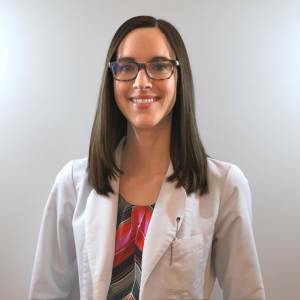 Dr. Blood-White joined City of Vision Eye Care in Fall 2015, working part time while she completed her training in ocular disease at the Veteran Affairs Medical Center Albuquerque. Upon completion of her residency training, she came on full time to our office. With her came new technology and cutting-edge education on the newest advancements in ocular disease care. She spearheaded efforts to set City of Vision Eye Care up as a new provider for emerging ocular disease. In the Fall of 2016, she recruited City of Vision’s second ocular disease trained optometrist, Dr. Tracy Ho. Together they have made big changes to our clinic, widening the number of comprehensive services and technology we can provide to our patients. Dr. Tracy Ho will be remaining with City of Vision and continuing care for Dr. Blood-White’s patients who require more specialized disease care. Please send your best wishes to Dr. Blood-White on her new adventure and visit her in Kansas City at her new practice with Harmon Vision Center!